Non-Domestic Mama: Want to watch Doctor Who? Where to Begin? Want to watch Doctor Who? Where to Begin? One of my lovely readers asked me this question and, because the answer is obviously too long and complicated for a comment box, I am dedicating an entire blog post to it. Also I didn't have anything else to write about today. Also I thought the rest of my three readers could benefit from my immense vault of Doctor Who knowledge. First of all. Firefly=Awesome. Fox=Evil network that will cancel all awesome shows right when everyone gets hooked. Totally not bitter or anything. As a classic Who fan, I absolutely can not tell you to just skip to the new stuff. There is so much history there and to really appreciate the new stuff you need to know where it all started. To ignore all that would just be, well it should be criminal. Punishable by being strapped down and forced to watch each and every episode of the classic series without a break. Except that wouldn't be a punishment. Except maybe the no break part. Anyway. It's bad. Terrible. Oh, you asked when it started? Well the first episode, An Unearthly Child, takes place in the Stone Age. But, don't you worry, the air date doesn't go nearly that far back. You only have to go back to November 23rd 1963. (The day after Kennedy was shot.) Did I mention that Doctor Who holds the Guinness Book of World Records record for "longest running science fiction tv series"? Here is my suggestion for a shortcut. Begin with The Five Doctors. This will give you a fairly good feel for the classic series and briefly introduce you to the first five Doctors. Technically the First Doctor was recast for this episode but the original still makes a cameo of sorts. Also Tom Baker (4th) didn't agree to be in the episode so they used old footage. Still, a good basic introduction. 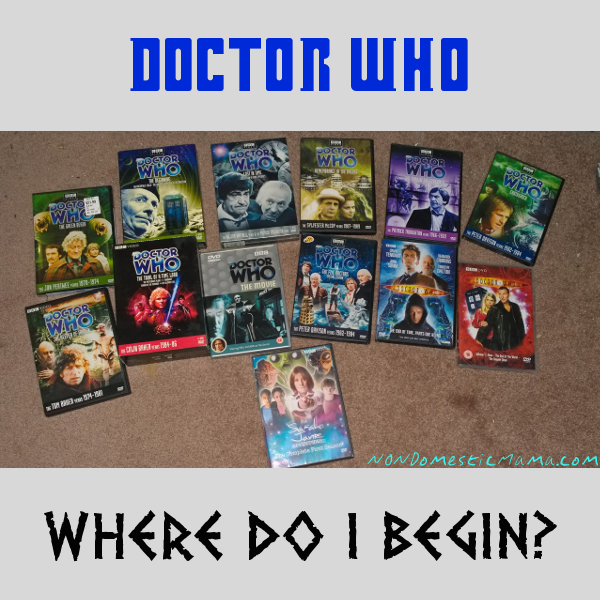 If you want to get a little more acquainted with the classic series before moving on, it wouldn't hurt to watch at least one episode of each Doctor. Now go ahead and skip to Doctor Who the Movie. Featuring Paul McGann as the 8th Doctor. It's his best episode. It's his only episode. Will we see him again or won't we? You will just have to keep watching. To be honest, the Doctor Who movie is not my favorite. They threw a few curve balls that had me reeling when it aired. But, it is my husband's favorite. Decide for yourself. Now you may proceed to the modern Who era. Go ahead and start with modern Doctor Who series (season) one. Eccleston AKA Ninth Doctor is not my favorite Doctor but some folks love him. If you don't, hang in there. One of the beautiful things about Doctor Who is that if you don't love this version of the Doctor you can just wait him out and an new one will come along sooner or later. One of the saddest things about Doctor Who is that if you love this version of the Doctor you can't keep him forever and a new one will come along sooner or later. That's what has kept the show going for so long. Word of advice from many years of Doctor Who watching experience. Give the new guy a chance. He won't be the same. He will be totally different. He will have different quirks. Different strengths. Different weaknesses. Let him be himself. Because, despite whatever personality differences he may have, he is still The Doctor. And The Doctor is good. Even Eccleston had his moments. Tennant was pretty much universally well loved. It didn't hurt him any that he is good looking. He is also married to the daughter of the 5th Doctor (Peter Davison another of my personal favorites) which makes the Doctor his own Father-in-Law. He also patterned the personality of his Doctor after that of the 5th. I was a big fan of Tennant and was pretty bummed out when he left. I was fairly wary of the new guy. Who I now LOVE. He has actually made it up into the ranks of some of the classic Doctors in my affection. He is silly and most definitely eclectic as all good Doctors should be. He made Bow Ties cool. Also the Pond's. Ah the Pond's. Right up there with my favorite companions from the classic series, Romana and Adric. Now that you have made it through the first 50 years of Doctor Who you get a treat. For the 50th anniversary, Who fans were treated to an epic motion picture release. It was one of the happiest moments of my life. Seeing Doctor Who on the big screen. If you missed out, you have my deepest sympathies. Bit of trivia. You will discover this was not the first time Doctor Who was on the big screen. If you ever get a spare moment (just for fun) you might want to check out the Peter Cushing, Dr. Who, movies. But make sure you watch the Hartnell (1st Doctor) episodes they were based on first. They take some liberties so don't consider them canon. Note the spelling. Dr. Who instead of Doctor Who. As I said. They take liberties. Anyway. Back to the 50th anniversary special. Before you watch it. PLEASE. PLEASE. I am begging you. Do yourself a favor and watch The Night of the Doctor minisode first. You will thank me. Unless you didn't take my earlier advice and you skipped all the classic stuff. In that case (shame on you) you will not get it. Epic. Old friends and new. You will laugh. You will cry. So pretty much like any other episode. But even better. Also another entry for Doctor Who in the Guinness Book of World Records. "Largest ever simulcast of a TV drama." Now watch The Five(ish) Doctors. This is the true anniversary special. Even better than The Day of the Doctor. Really. The more you have seen of the classic series, the more you will appreciate it. Then a bit more Matt Smith and we are introduced to Peter Capaldi, Doctor #12. And just like that, you are all caught up. Of course now that you are caught up, you will need something to watch while you wait for new episodes. Now is the time to go back and fill in all those classic episodes. So many ways you can choose to do this. You could start at the beginning and watch through. You could pick a favorite villian and watch all their previous episodes. Daleks or Cybermen being classic examples. Want to know where the Daleks first came from? You could watch all the regeneration episodes. Say goodbye and hello to each Doctor. You may want to watch my favorite episode. You should definitely check out some of Colin Baker (6th) and Sylvester McCoy's (7th) episodes since you didn't get to meet them in The Five Doctors. I highly recommend Colin Baker in The Trial of a Time Lord. It's an entire season but really his best work. I wasn't the biggest fan of his before I saw these episodes. Good stuff! I have to be honest here. 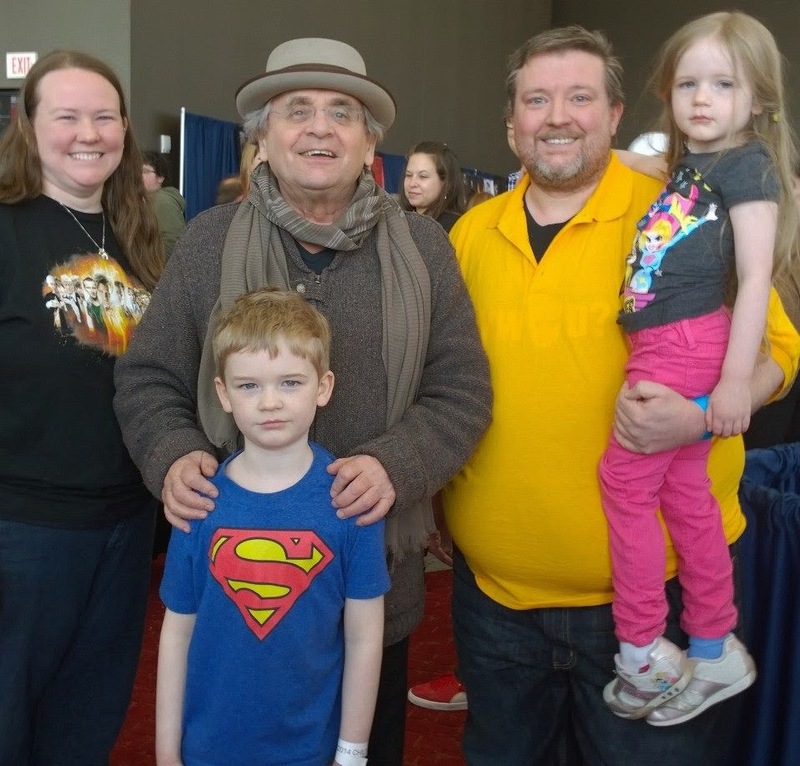 I have not seen nearly enough Sylvester McCoy episodes so I can't really tell you which one I most recommend. But when in doubt bring in the Daleks. Once you are more familiar with the classics. Just for funsies. Watch The Curse of Fatal Death. All this doesn't even cover the spin offs. *Warning, Torchwood is not kid friendly and I haven't watched the final season because I am too angry at the writers to continue. I haven't even touched on the animated episodes, radio dramas, books, comics, etc. Welcome to Doctor Who Fandom.